The Tattered Remains of Cambridge Analytica Just Filed for Bankruptcy in the U.S.
Cambridge Analytica, the shady data firm accused of misusing the data of millions of Facebook users, filed for bankruptcy in the U.S. late Thursday. The news is hardly shocking—the firm announced that it had filed for insolvency in the UK earlier this month with bankruptcy proceedings in the U.S. to soon follow. The voluntary petition declaring Chapter 7 bankruptcy, submitted by Cambridge Analytica’s New York office, listed assets in the range of $100,001 to $500,000 and liabilities from $1 million to $10 million. It was signed on behalf of board members Rebekah and Jennifer Mercer, the conservative heiresses and daughters of billionaire Robert Mercer who funneled millions into Trump’s 2016 presidential campaign. The bankruptcy filing reveals that Cambridge Analytica’s U.S.-based parent company, SCL USA, also filed for bankruptcy Thursday in New York. It also shows that Cambridge Analytica affiliates SCL Group Ltd., SCL Analytics Ltd., SCL Commercial Ltd., SCL Social Ltd., SCL Elections Ltd., and Cambridge Analytica (UK) Ltd., all filed for bankruptcy in the UK earlier this month. 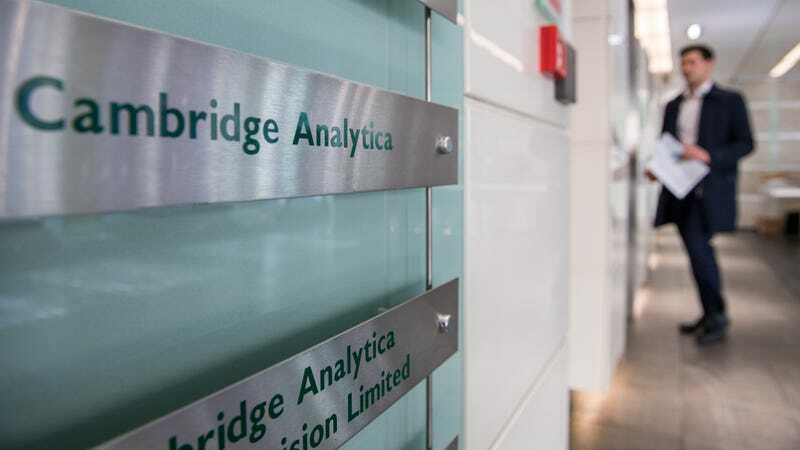 Chairman of SCL Group Julian Wheatland announced to employees earlier this month that Cambridge Analytica’s parent company SCL Group was shutting down, shuttering the business of both Cambridge Analytica and SCL Elections immediately. During the conference call in which the news was dropped, Wheatland had said that the board determined that in the current environment, the company’s rebranding efforts were “futile.” He also noted that the ongoing investigations into Cambridge Analytica, a smeared reputation, and a loss of clients contributed to the board’s decision to shutter its operations. Cambridge Analytica’s bankruptcy filing in the U.S. coincides with an ongoing investigation into the company by the Justice Department and the FBI. According to the New York Times, investigators are looking to speak with former employees as well as banks that dealt with the firm’s business. This federal investigation is reportedly focusing on the firm’s financial practices as well as how it obtained the data from Facebook and other outside parties. Facebook has reportedly been contacted by officials involved with the investigation.